Do Dogs Have a Better Sense of Taste Than Humans? For doggies, the sense of smell trumps taste -- big time. It's easy to assume that dogs see, smell, feel and hear things exactly in the way that human beings do. However, that couldn't be further from reality. Although the canine sense of smell is significantly stronger than that of humans, their taste buds, on the other hand, are markedly weaker. 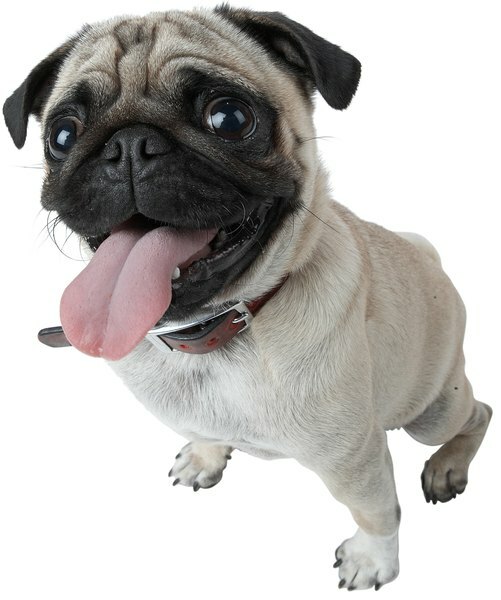 Dogs have a handful of primary taste categories, which are saltiness, sourness, bitterness and sweetness. Canines are capable of detecting salty and sugary foods using everything except the very backs of their tongues. However, they can taste sourness using their full tongues. Although dogs do indeed possess the same primary tastes as people, it doesn't mean that their sense of taste is equal to -- or better -- than that of humans. Not only is the canine sense of taste not better than the human sense of taste, it actually is nowhere near as potent. People actually have roughly six times the amount of taste buds that their doggie buddies have, notes The Merck Manual for Pet Health. If you ever wrinkle your nose in disgust at the things your dog is willing to put into his mouth, you probably understand the situation a whole lot better. The poor pooch literally has less taste than you do, pure and simple. 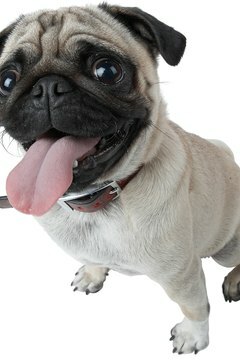 Dogs have fewer taste buds than people, and also occasionally react to certain tastes differently than humans. One such example involves salt, a prominent component in many a delicious human meal. Dogs don't detect salty flavoring as keenly as people, but they also don't have as strong an urge to eat it in the first place when compared with humans. This lack of desire for salt may be related to canines' carnivorous roots. Flesh, their basic wild dietary staple, is already packed full with salt, and because of that, dogs naturally don't yearn for it as much. Don't feel too bad for dogs just yet, however. Their impressive sense of smell is approximately 1 million times stronger than that of any person, The Merck Manual for Pet Health reports. Not only can they pick up on the minor nuances of differing smells, they also can pick up on faint scents that are literally impossible for humans to take in. This sense probably more than makes up for their slightly weaker taste buds. Do Cats React to Human Hormones? Do Birds Eat by Smell or Sight?